FreeMax Starre V3 DVC Tank Atomizer - 5ml, the new DVC tank with adjustable Airflow drip tip, which compatible with most mechanical mods and VV/VW battery (20W - 100W ) in the market. FreeMax Starre V3 DVC Tank Atomizer - 5ml, the new DVC tank with adjustable Airflow drip tip, which compatible with most mechanical mods and VV/VW battery in the market. How to replace coil:clockwise screw the base part off the atomizer; anticlockwise screw the atomizer head off the base part; replace the new atomizer into the base part and screw. 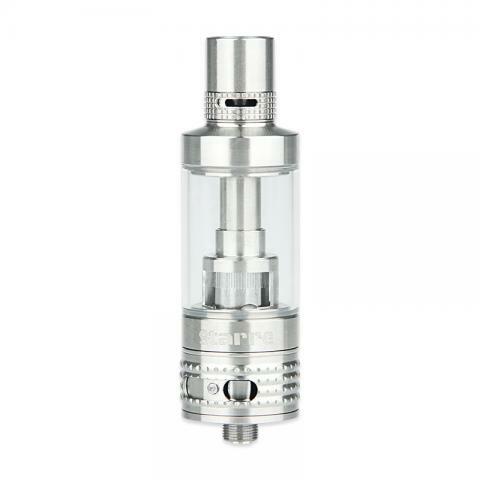 How to fill:screw the base part off the Starre tank; then hold the tank upside down and fill e-liquid into the tank tube. Pay attention not to drip it into the central airflow tube. • Replacement coils are 5pcs DVC Coil for FreeMax Starre Tank. Large 5ml tank is a bonus for me. Amazing flavor and clouds, one of my best subohm tanks. The second purchase of this item, well-made tank, good flavor and cloud. It's compatible with Atlantis coils, that's a big pro. The Starre V3 is as good as the original Starre. High quality tank with good flavor.